There are many supplements available that claim they can relieve aches and pains, improve overall joint health, build cartilage, and more, and one of them is SierraSil. When you are looking for a supplement to try, read the labels. First and foremost, you must understand what ingredients are in the supplement, how you should take it, and what you should expect after taking it for a defined period of time. Many brand name supplements contain some level of glucosamine, chondroitin, MSM, or SAM-e or combinations of those active ingredients. SierraSil contains none of the four ingredients, but instead, is an all-natural mineral complex. Let's dig deeper. SierraSil comes in two formulations: SierraSil Joint Formula14 and SierraSil Pain Relief Topical Spray. Joint Formula14 comes in a bottle containing 90 capsules and claims it can promote joint health and mobility. The manufacturer claims that the topical spray temporarily relieves minor aches and pains and that SierraSil has a clay mineral structure which, aside from promoting better joint health, has detoxifying properties. SierraSil is a "pure, all natural" mineral powder, according to their website. SierraSil contains the following mineral amounts in 3 capsules: calcium 23mg, potassium 20mg, sodium 12mg, aluminum 6mg, phosphorus 3.1mg, magnesium 2.2mg, iron 1.2mg, silicon 1.0mg, manganese 0.15mg, barium 0.10mg, copper 0.033mg, cobalt 0.014mg, and zinc 0.014mg. The manufacturer of SierraSil recommends taking SierraSil Joint Formula14 capsules with water only. They suggest taking all capsules for the day together. Food or other beverages (coffee, tea, milk, or juice) should be taken 30 minutes after or 2 hours before Joint Formula14. Other medications or supplements should be taken at least 4 hours before or after SierraSil Joint Formula14. It is also recommended that you drink 8 glasses of water throughout the day to help with the detoxifying aspect of SierraSil Joint Formula14. The recommended daily dosage is based on your body weight. For people weighing up to 175 lbs., three capsules are recommended. Four capsules are recommended for those 175-230 lbs. Five capsules are the recommendation for people who weigh more than 230 lbs. The SierraSil topical pain relief spray should be sprayed on the affected area to relieve pain. You should not use it with sunscreen. Patients are taught to question the validity of claims and marketing ploys. Patients know that there should be scientific testing that backs up any claims which are made. In the case of SierraSil, the manufacturer's website says that "SierraSil has been subjected to a rigorous level of testing and analysis." One study published in the Journal of Inflammation concluded that SierraSil alone and in combination with Cat's claw provided relief of osteoarthritis symptoms. Benefits of SierraSil were evident within a week and the safety profile for the supplement was excellent. There were 107 study participants with mild to moderate knee osteoarthritis involved in the study. They were assigned to one of 4 groups: high dose SierraSil (3g/day), low-dose SierraSil (2g/day), low-dose SierraSil (2g/day) plus extract of Cat's claw (100 mg/day), or placebo. Another study investigated how SierraSil worked on human cartilage in the laboratory. The authors concluded that SierraSil can significantly reduce processes associated with cartilage breakdown. Early Relief of Osteoarthritis Symptoms With a Natural Mineral Supplement and a Herbomineral Combination: a Randomized Controlled Trial. Miller MJS et al. Journal of Inflammation. 2005;2:11. Suppression of Human Cartilage Degradation and Chondrocyte Activation by a Unique Mineral Supplement (SierraSil) and a Cat’s Claw Extract. Miller MJS et al. 2004. Is There a Link Between Joint Pain and Obesity? 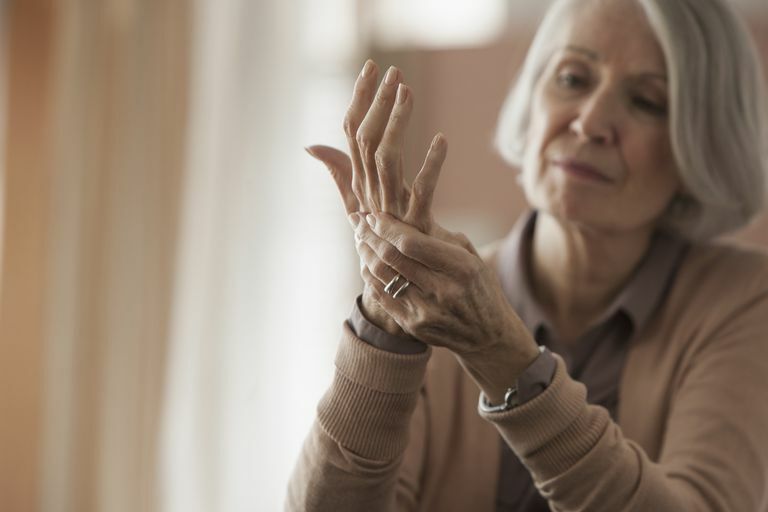 Can WD-40 Really Help Arthritis?